Have you noticed that bugs don't want to eat our food anymore? They are poisoned by the soil, sprays, or even the food itself. Unfortunately, these tactics are indiscriminate and are already suspected to be responsible for the widespread "honey bee die off;" but that is a story for another day. 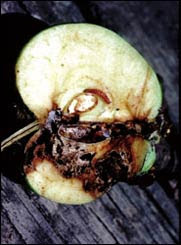 Several years ago a man in my neighborhood referred to bug-bitten fruit as "live fruit" and those without marks as "dead fruit." The imaging was so poignant for me that I've never forgotten. In any case, though I don't intend to poison anything, I still desire to have more than 50% useable area of each piece of fruit. The old apple tree on my property had not been tended for at least 10 years before I moved in and I'm slowly working to revive it. The fruit is so worth it. Small and tart, they make the best apple sauce I've ever had! 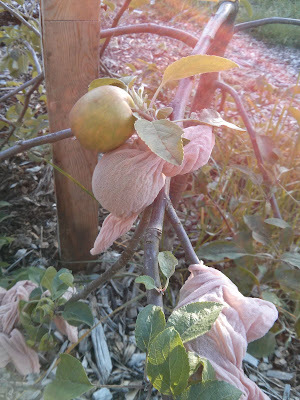 After several years of heavy trimming, soil amending, and thinning, it is finally worth it to begin focusing on the fruit itself...it is still possible that I will invest in making a cutting and having it grafted onto a dwarf rootstock to restart the species from "seed." 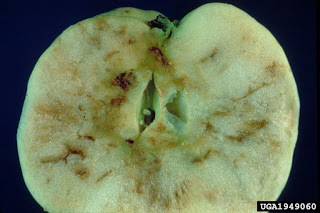 In any case, I must deal with the heavy apple maggot damage to have any chance of useable produce so I began researching. There are three main organic methods for protecting fruit from the most common pests with which I am familiar: traps, nylon socks, and kaolin clay spray. 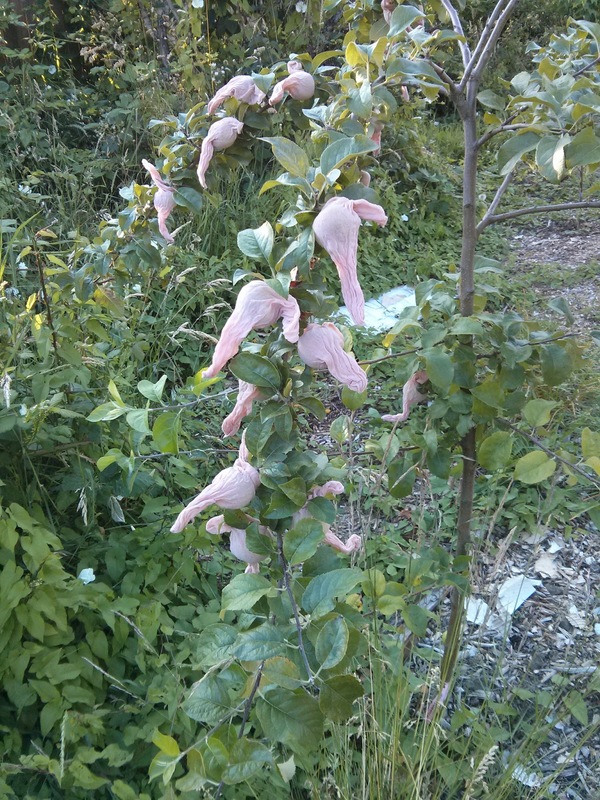 Last year I tried using the nylon bags with excellent results. This week I got around to slipping them around my first little orchard produce on the Harris lot (a couple of weeks late so there is already minimal damage). In progress on the Braeburn. Pristine: all dressed up and nowhere to go. One nylon for each piece of fruit. This could get tedious pretty fast but my crop is small enough to not be a problem. Later I will probably invest in the apple-shaped lures for larger and less time-consuming protection.